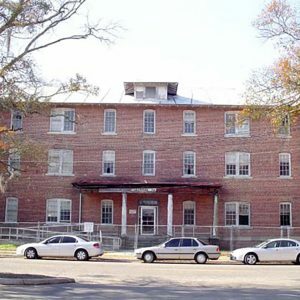 Lowman Hall, which was constructed in 1917 as a men’s dormitory, is the oldest intact building on the campus of South Carolina State University. It is associated with the development of the college from the insubstantial frame buildings when it opened in 1896 to the permanent brick buildings constructed in the 20th century. Lowman Hall was one of the first designs of Miller F. Whittaker, who was then on the college faculty. Whittaker was a pioneer African American architect in South Carolina and his work helped set standards for students aspiring to the architectural profession.